Flowers really don't travel well in the dead of winter. However these delicate beauties held up brilliantly for Michelle and Dave's special day. 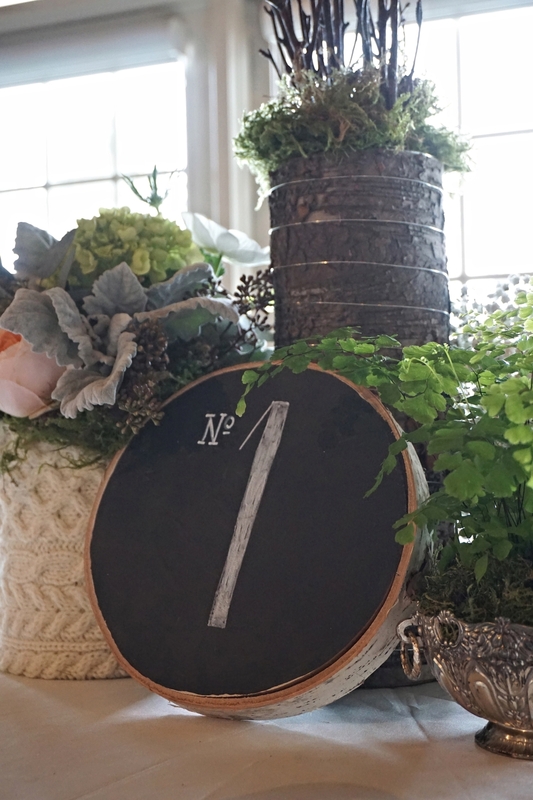 To display the flowers and greenery, I wrapped cans (yep cans) in wool sweaters and added birch vessels, mercury glass votives, and vintage silver containers of all sizes to all the tables. Here are a few pics of these creations. The reception was held at the beautiful Glasbern Inn, in Fogelsville, Pennsylvania. And, thank you Tony Millross from Lehigh Lighting for providing the perfect lighting scheme. I'll post more photos at a later date. Enjoy!